Until the middle of the twentieth century, residents of Australia and New Zealand were categorised by law as either ‘British subjects’ or ‘aliens’. Using these categories as a starting point, this one-day symposium will consider histories of nationality and citizenship in Australia and New Zealand over the nineteenth and early twentieth centuries. In particular, the symposium will explore the intersection of nationality with gender, race and ethnicity in a range of legal and social contexts. This paper sets up the constitutional foundations to the other papers being presented throughout the day – in understanding how British subject status and alienage has shaped understandings of membership throughout Australia’s history. This continues to this very day, culminating in the recent arguments by the Solicitor-General of Australia in the matter before the High Court on section 44 (1) of the Constitution. The recent judgment in that case will be analysed to reflect on this thesis proposed. This event is supported by the Colonial and Settler Studies Network and the Feminist Research Network at the University of Wollongong. 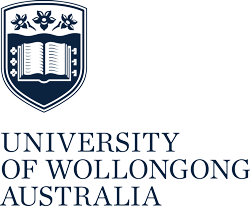 Transport: For information on getting to Wollongong and to the University of Wollongong, see our Transport page. Venue: The symposium will be held in two rooms on Level 2 of Building 19 (Arts Building). Room 2001 is our break-out room and Room 2003 is our meeting room. The Research Hub (Room 2072), also on Level 2, is available if you need some quiet space away from the symposium. Lift access is available at the main (eastern) entry to Building 19. Disabled parking is available in the Main Car Park (P2). View a floor plan of Building 19 (pdf). Got a question? Please email Kate Bagnall at kbagnall@uow.edu.au.